The GT 1000 is built to accommodate both neutral and overpronators. It’s best used on roads and other smooth terrain. The design is good for long-distance runners and people who run daily. The midsole is comprised of triple-density EVA foam. One main layer runs throughout the sole, while there are two gel cushioning layers beneath the heel. These help absorb the impact as the heel strikes the ground, allowing you to run longer distances without pain. The upper is made of engineered mesh with stitched-on overlays. The overall fit can be somewhat stiff because of the level of cushioning in the forefoot. This is a detractor for runners who prefer flexibility, but it provides much-needed stability for overpronators. The toe box is roomy, although a few widths may have a slightly narrow fit. Because of the responsive layers in the heel and midsole, the shoe molds to your foot like a glove. There will be a certain period necessary to break the shoe in. The shoe has ideal support in the areas that overpronators need. There isn’t an external heel counter, but the stitched-on overlays are supportive enough to negate that. The midsole uses SpevaFoam, which has a better bounce-back performance than many competing foams. The material is also durable and lightweight. An impact guidance system allows the foot to move naturally through the stride from the heel strike to the toe-off. There’s also a dual density midsole system that enhances overall support. The shoe also incorporates Guidance Line Technology. This vertical flex groove helps your gait to be more efficient whether you’re a neutral or overpronator. The GT 2000 is designed with overpronators in mind. It’s another long-distance, daily running shoe best suited to smooth terrain. The shoe features triple-density EVA foam. Rather than having two gel layers, the top layer is soft, the middle layer is gel, and the bottom layer is responsive. 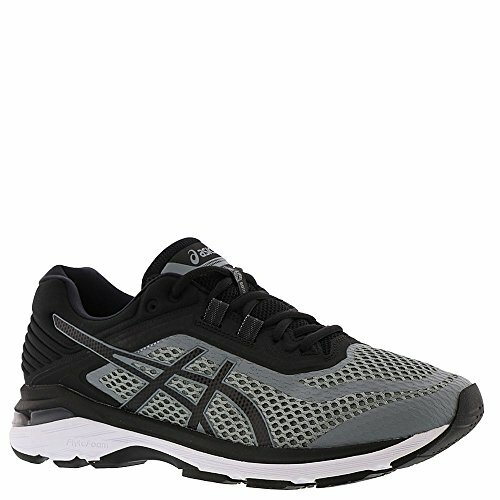 The cushioning adjusts as your stride and gait change. The upper is made of highly breathable air mesh and features no-sew overlays. There’s also a plastic heel counter to increase the support. The no-sew overlays don’t have as much support as the GT 1000, but the heel counter puts support behind your heel. Like the GT 1000, the fit is stiff and supportive. The toe box is roomy, and you will need to break the shoes in. The midsole is made from FluidRide material, which cushions even as it provides ideal bounce-back capabilities. The shoe utilizes all the same technology as the GT 1000, with a few additional notes. There’s a heel clutching system that provides an increased fit on the heel. In addition, the dynamic support system is upgraded from the GT 1000, increasing platform support while reducing weight. The unique eyelets disperse the tension in your laces, so the shoe has a customized fit regardless of your foot size. This also increases the overall comfort. The GT 2000 comes with a removable sock liner that helps with moisture wicking and cushioning, so your feet stay cool and dry. Both models utilize a classic, simple design that helps overpronators over long distance runs. There are a variety of different colors to choose from. There’s a difference between the mesh on each model. With the GT 1000, the mesh reduces a need to have extra overlays. There aren’t any additional overlays on the toe box. However, the GT 2000 does have extra overlays, along with a visible heel counter. The no-sew overlays of the GT 2000 are sleek and aesthetically appealing. The GT 1000 uses traditional overlays, which have less visible appeal but provide greater durability and support. The tongue and collar of both models have moderate padding, so there’s reduced friction on the ankles. The outsole of both models is also very similar. There’s DuraSponge blown rubber put in ideal places to increase the traction, while the Guidance Line allows for a straighter gait and better overall transitions. Both models can accommodate customized orthotics, so they’re ideal for people with varying foot issues. The GT 1000 has standard foam, while the 2000 has a removable moisture-wicking sock liner. The main midsole unit of the GT 1000 is crafted with SpEVA foam, which is highly responsive and durable. There’s an upgraded version in the GT 2000. The gender-specific foam offers more customized cushioning, while the FluidRide technology reduces the shock of impact. Both models are made with highly breathable mesh. No matter how long you run, your feet will stay dry and odor-free. The forefoot cushioning is much more intense than most competing stability shoes on the market. There’s a significant amount of heel cushioning as well. The gender-specific cushioning of the GT 2000 makes it just slightly more effective. Over the years, both models have received multiple updates to increase the comfort for overpronators. You’ll still need to break them in over a short period of time. The GT 2000 is slightly better at reducing irritation. Both models are incredibly durable, able to stand up to at least 1,000 miles of running. Some runners have even reported running more than 2,500 miles. Both the GT 1000 and GT 2000 provide the support necessary for long-distance overpronators. The GT 1000 is a slightly more affordable option, while the GT 2000 employs more advanced technology. The GT 2000 has an edge thanks to the sleek design, gender-specific cushioning, and responsiveness. 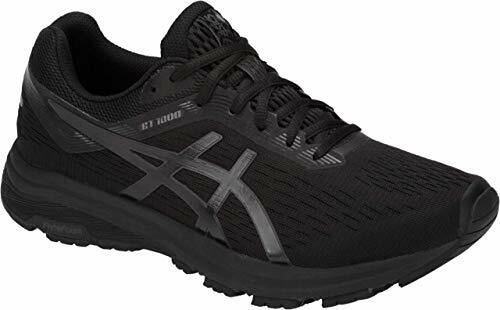 However, if you’re on a budget, the GT 1000 still provides everything you’ll need in a running shoe.